Scones are my absolute favourite to bake for a quick tea time treat. I first baked these in my cooking classes during secondary school, and have been experimenting with flavours to enhance my scones ever since. These little beauties are so delicious, quick and easy to make and with very few ingredients. Since moving to Dubai, I have only made them a couple of times, but whenever I do it takes me right back to a cosy afternoon in England. Today afternoon I wanted to have a little English tea time with the family, and decided to make scones with a yummy twist. Being a chocoholic, I added some Hershey’s chocolate into the dough and BAM, aromatic chocolatey scones are ready to be devoured. 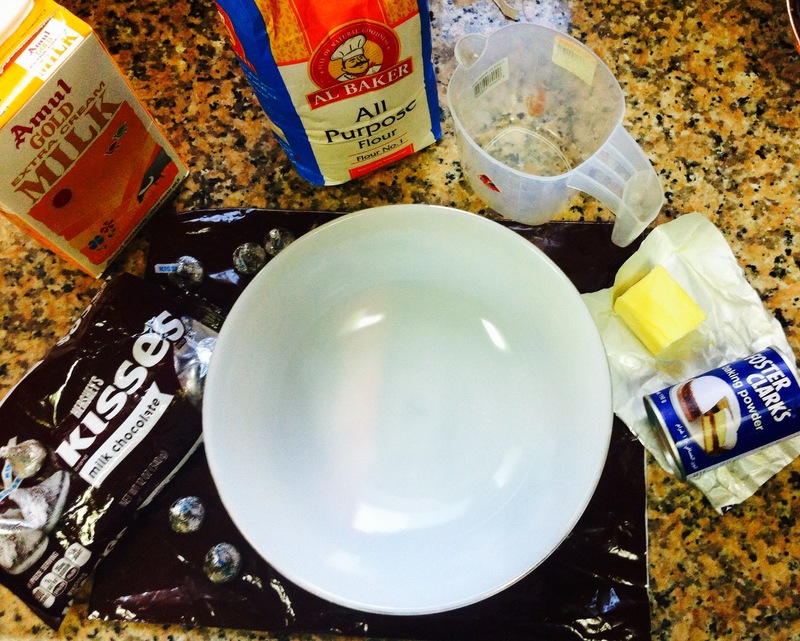 Below is the recipe and method to follow if you also want some chocolatey scones in your tummy! Firstly, preheat your oven. 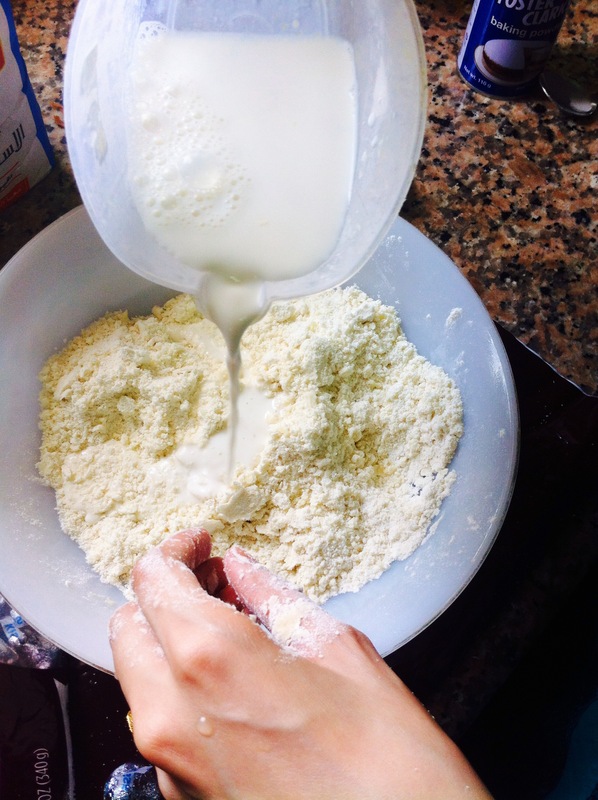 Now begin by mixing together your dry ingredients: flour, sugar and salt. 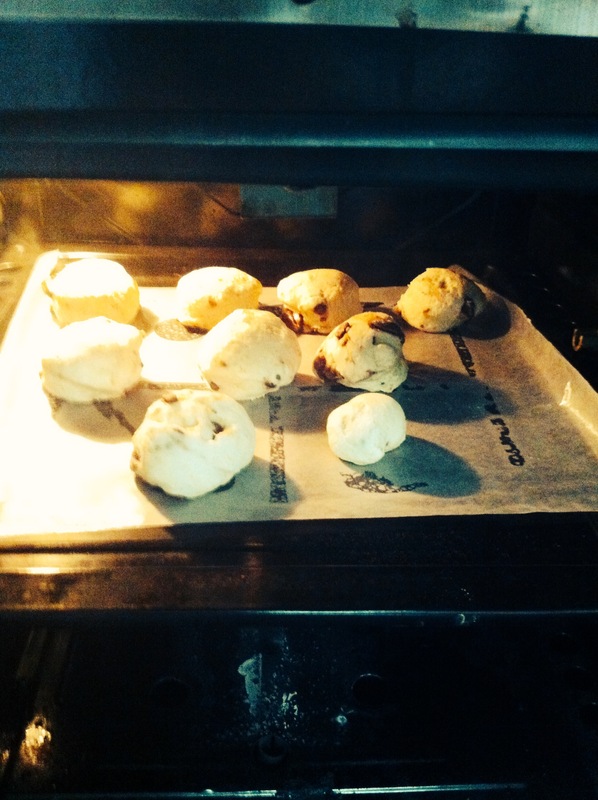 I only had plain flour at hand, so mixed in a few tsps of baking powder to make the scones rise. 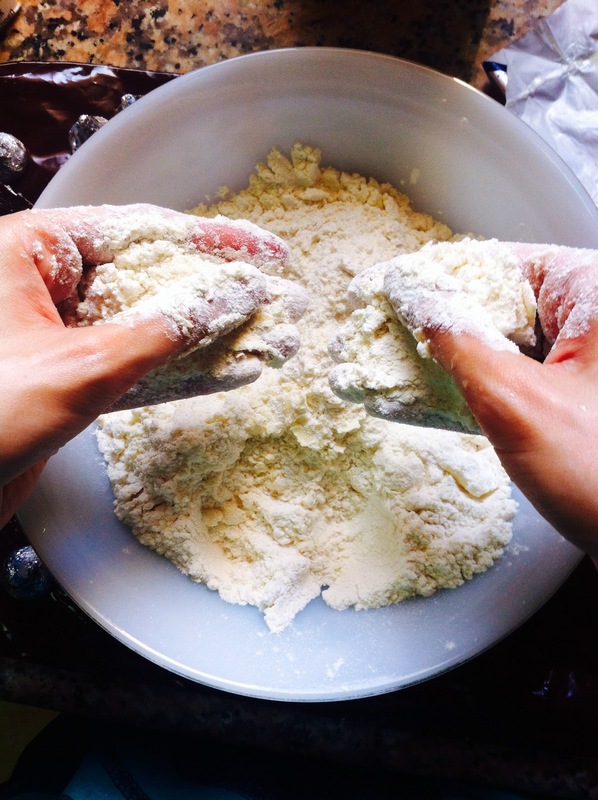 Rub the butter into the flour mixture using your fingers, as shown in the photograph below, until you have a crumbly texture. 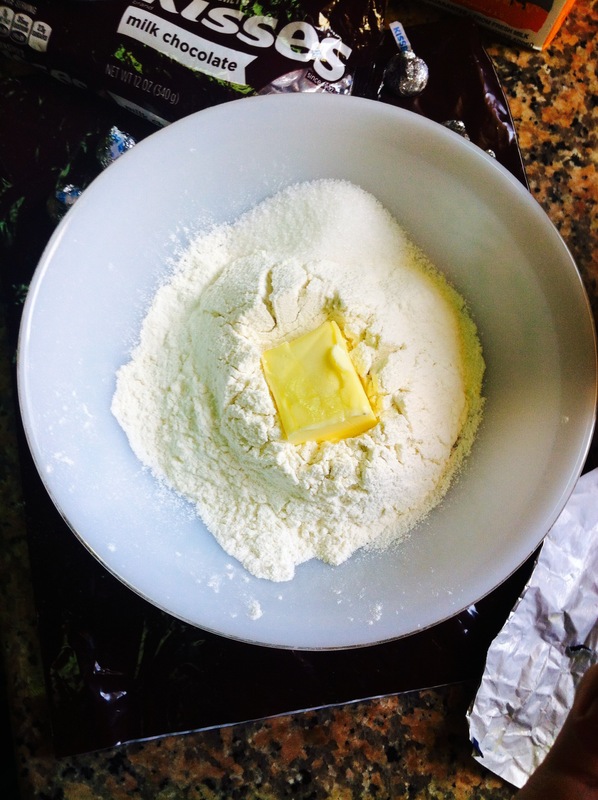 Now add the milk, a tiny bit at a time, and knead together to make your scone dough. If you have added too much milk and the dough becomes sticky, simply add a little more flour to get the right dough consistency. The delicious aroma will have you drooling at this point. 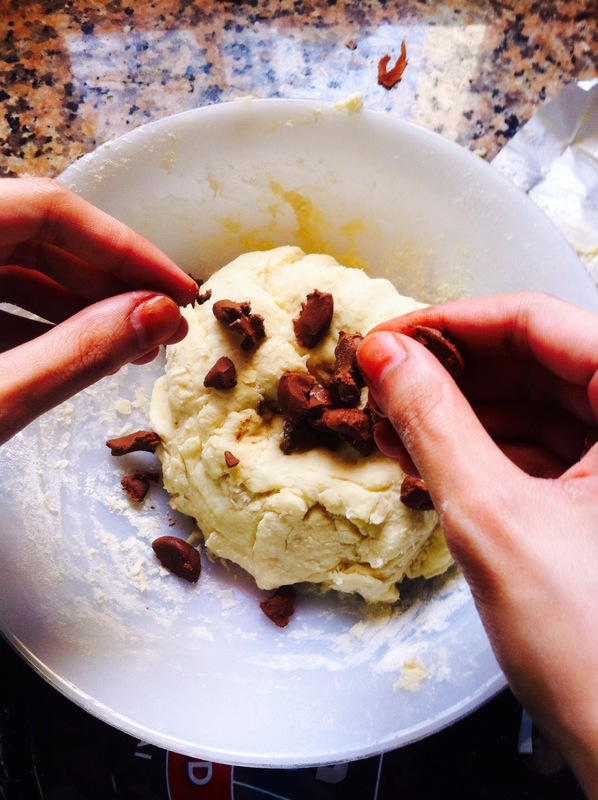 Once your dough is ready, break apart a few Hershey’s Kisses with your hands and add into the dough mixture. Knead again until all the chocolate is evenly distributed and incorporated into the scone dough. In case you do not have Hershey’s at hand, you can always add chocolate drops or any other form of broken chocolate into the mixture to get your sweet fix. Being a chocoholic, there is ALWAYS chocolate at hand for such emergencies. Roll out your dough, keeping it roughly 3 cm thick. Now cut out little circles using a scone cutter. If you do not have one at hand, you can use your baby’s food pot too! It’s one and the same thing…who knew food pots could be so multi-functional eh? 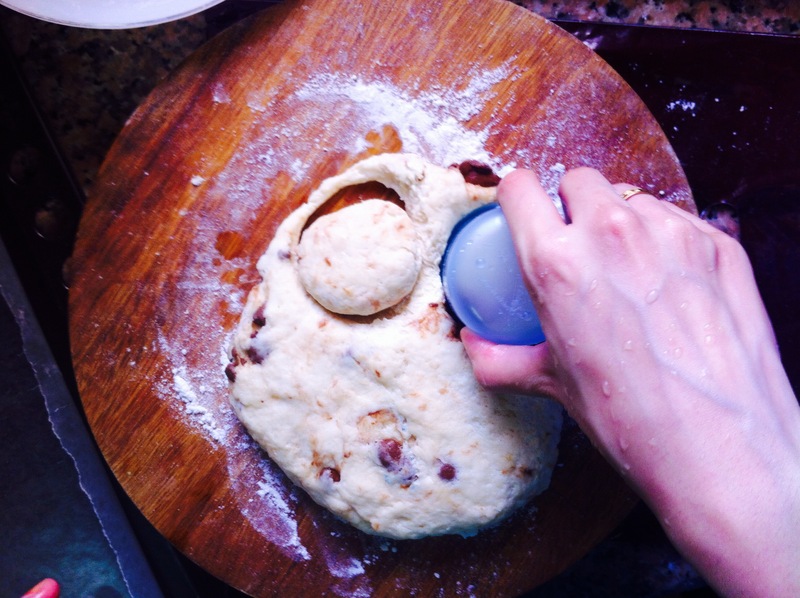 Once you have formed all the dough into circles, pop them on a baking tray. Pop them in the oven to bake for about 15 – 20 minutes, until they are golden at the top and have risen. 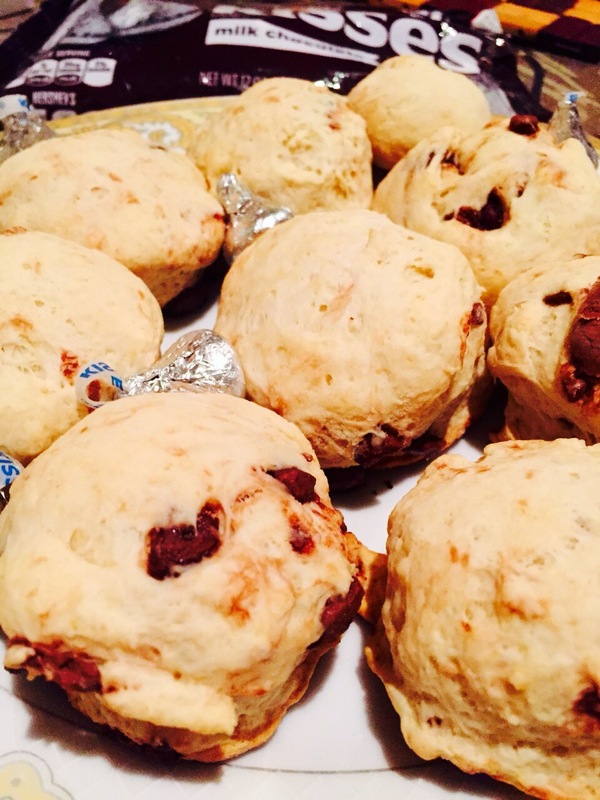 Once the kissable scones are ready, get them out of the oven and dig in! They are best enjoyed warm and fresh, with some cream or honey. Or as my husband likes it, enjoy it with some strawberry jam and a cup of karak Indian Chai! 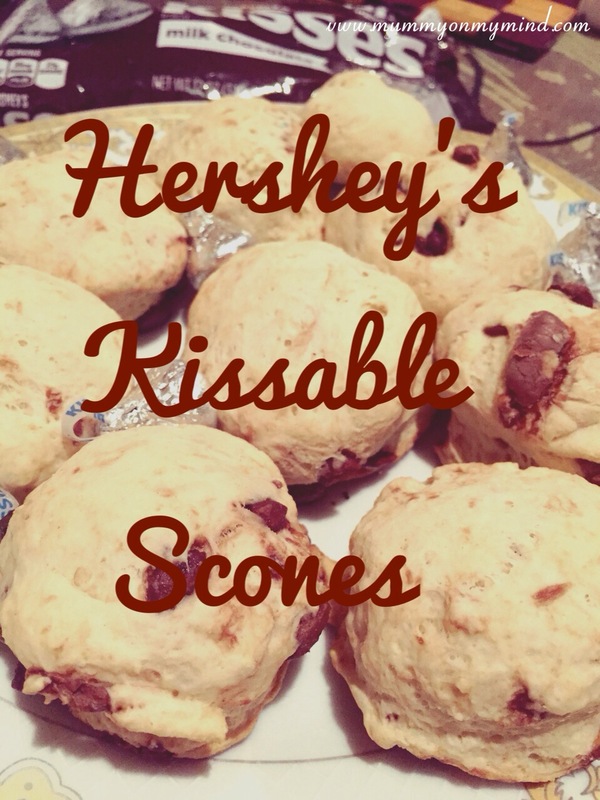 I hope you get to try out these beautifully delicious Hershey’s kissable scones! Let me know if there are any other additions that you have made to a scone recipe that have worked for you. Feel free to share your thoughts in the comments section below! I would love to see some pics once you’ve baked them!! Sure, that’s a great idea! ? 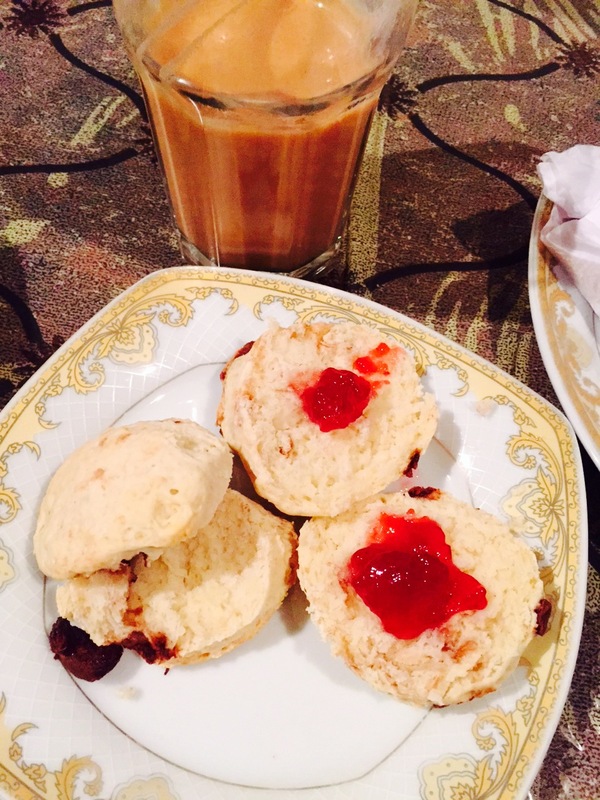 I know this post is about scones but that tea doe ?